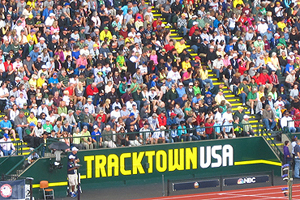 TrackTown USA continues to celebrate all things track and field related, with the biggest season ever currently underway at Hayward Field. A number of meets are bringing thousands of athletes and fans from around the world to Eugene throughout the summer months. A new event is scheduled for July, and will not only include competitions, but opportunities for education, an expo, pasta feed, and more. This is the inaugural year of Run TrackTown, and it promises to be a big one. While the official dates of Run TrackTown are listed as July 25 – 27, things kick off a little early the weekend before with the Bowerman Sports Science Symposium on July 18 - 21. Experts from the international sports science community will present research and conduct panel discussions over four days on the application of science in today’s sports environment. July 22 marks the start of the IAAF World Junior Championships, making its first ever U.S. appearance. This competition will showcase the world’s best track and field athletes under the age of 20 (these are future Olympians! 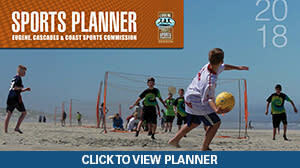 ), while bringing nearly 2,500 athletes and team officials from 177 member federations around the world (in addition to thousands of spectators and media) to our area. The Health and Fitness Expo starts its two-day run at Matthew Knight Arena on July 25. It’s a chance to check out vendors, stock up on samples, brush shoulders with local and national running icons, and pick up race packets for the upcoming Eugene Marathon. In the spirit of the Eugene Marathon being named one of the “Top 10 Greenest Races in North America” by Runner’s World, virtual race bags will be offered (with invitations via email) for coupons and offers to save thousands of pounds of paper. July 26 will be an especially busy day for TrackTown USA. Youth events get underway on this Saturday, starting with the Kids Duck Dash. This 1K loop is the chance for children that have been walking or running 25.5 miles in the prior weeks (and logging their progress) to complete a full marathon one mile at a time. 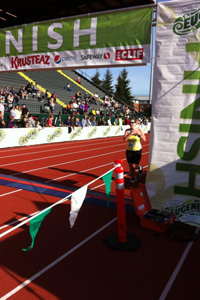 Others that simply wish to participate can get in on the action of the 1K and finish on Hayward Field in front of cheering fans. 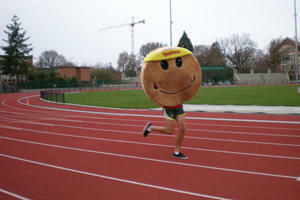 Runners of all ages can start their day off by racing against the Krusteaz Flap Jack (yes, in full costume) in the Run TrackTown 5K. For those that beat the Flap Jack, they win a one-year supply of Krusteaz pancake mix. Those that don’t still get to enjoy consolation pancakes after the race. The All-Comers Meet will be hosted later that morning by the Oregon Track Club. Children 12-and-under can simply show up at Hayward Field to compete in the 100 meters, long jump, and turbo jav. Later that day, the top three youth finishers from each event at the Run TrackTown Youth League Regional Meets (that were held June 15 – July 15) will compete at the Run TrackTown Youth League Championship at Hayward Field. The early evening is time for Eugene Marathon entrants to carbo-load behind the West Grandstands of Hayward at the annual Pasta Dinner. After dinner, everyone is encouraged to stick around and watch the hour-long High Performance Track Meet. The highlight of the evening will be the Oregon Track Club Elite team going for a world-record in the 4x800m relay. The Eugene Marathon and Half Marathon will run on July 27 (which also marks the final day of competition as well as the closing ceremonies for the IAAF World Junior Championships). The marathon takes runners through 10 city parks and along several miles of the Willamette River. What makes both the marathon and half marathon extra special is the final stretch in historic Hayward Field, letting finishers run in the footsteps of legends such as Steve Prefontaine and Ashton Eaton. As if the marathon itself wasn’t enough excitement, the Post-Marathon Festival starts immediately after, where runners can refuel and relax with more Krusteaz pancakes, a beer garden, and free 15 minute massages. It’s an impressive itinerary of track and field events, and there’s no better place in the world to host it than Eugene, a.k.a. TrackTown USA. This season will be one remembered for many years to come, whether you experience Run TrackTown on the field or in the stands.